Jacob Gade (1879-1963) – Danish composer and violinist – is world famous as the composer of Tango Jalousie. In 1925 the Palads Theatre in Copenhagen was the natural choice when the new Zorro film with the superstar Douglas Fairbanks in the title role was to have its Danish premiere. All the sails were set; the conductor of the cinema orchestra Jacob Gade composed a new tango for one of the scenes, and he called it Jalousie – tango tsigane. Since the first performance in 1925, what we now simply call Tango Jalousie has become the absolutely most frequently played piece of Danish music for almost a century. The sheet music was published both in Denmark and internationally, and the gramophone and radio made all the difference; innumerable orchestras, violinists and conductors have dipped into the score in the course of time. And now the turn has come to one of the world’s absolutely leading orchestras, the tradition-conscious Vienna Philharmonic. The Palads Theatre still lies at Vesterport Station in Copenhagen, as it did in 1925. At that time the cinema had already been one of the city’s biggest box-office draws for seven years, and its was the natural choice when the new Zorro film with the superstar Douglas Fairbanks in the title role was to have its Danish premiere. 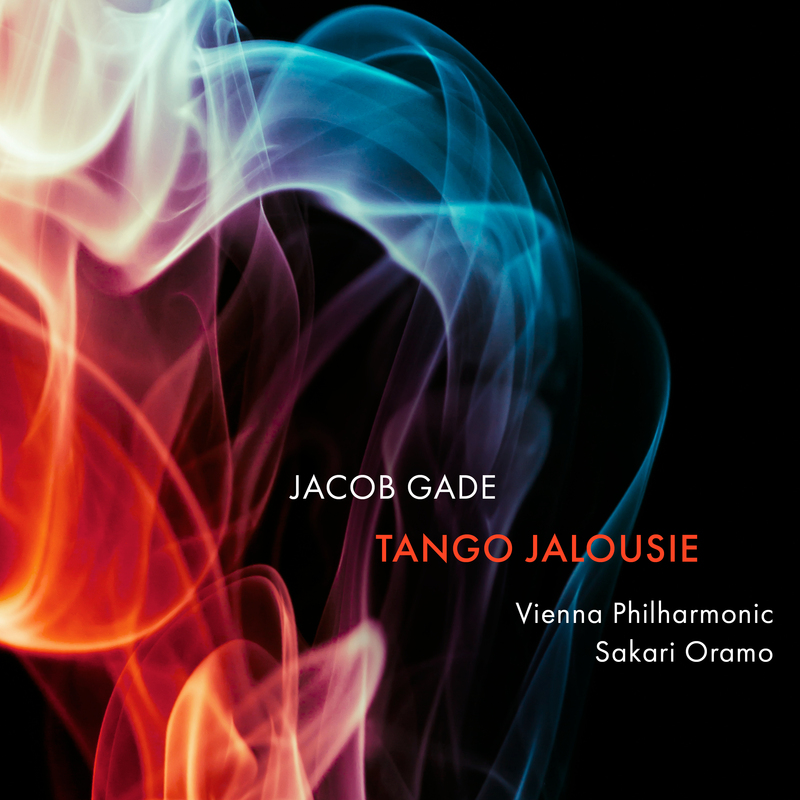 All the sails were set; the conductor of the cinema orchestra Jacob Gade composed a new tango for one of the scenes, and he called it Jalousie – tango tsigane. He took his inspiration from a newspaper article about a gruesome jealousy killing, and according to himself he wrote the tango down in the course of just a few hours. But then Jacob Gade was a man with almost 35 years of practical experience as a musician, conductor and self-taught composer. Jacob Gade was born in Vejle, Denmark, in 1879. His father was a traditional musician, and he also sold musical instruments. Jacob played violin and piano, and went to work with his father when music was to played for weddings and harvest feasts in ­Vejle and its surroundings, even before he became a teenager. But the music of the capital exerted its attraction – and Jacob Gade moved to Copenhagen at the early age of 16. He had 80 kroner in his pocket, and at first made ends meet by playing in sleazy dives. He spent some of the money on violin lessons, but he did not succeed in winning a scholarship to the Royal ­Danish Academy of Music. Gade had to fend for himself, and by the time he was 18 he was conductor of a small, modest orchestra at the hostelry Sommerlyst in Holmbladsgade. Later he advanced to become bandleader at theatres like the Bristol, the Phoenix and the Dagmar. But even though there was enough work in Copenhagen for a young, ambitious musi­cian, the grass was perhaps even greener on the other side of the Atlantic. In 1919 the Great War was over, and there was again a chance to travel abroad. Like so many others, Gade sought his fortune in the promised land of the USA, where he both managed to play in the large orchestra of the newly opened Capitol movie house with room for a dizzying 4000 spectators, and also with the New York Philharmonic itself with the conductor Wilhelm Mengelberg. But as early as 1921 Gade returned to Denmark – with experiences and impressions from the American entertainment industry that he planned to exploit in Copenhagen. At the Palads Theatre he was given the task not only of conducting what was in the circum­stances a large orchestra of a whole 24 musicians, but also to arrange and compose the music that accompanied each scene in a new silent film. Since the first performance in 1925, what we now simply call Tango Jalousie has become perhaps the absolutely most frequently played piece of Danish music for almost a century. The sheet music was published both here in Denmark and inter­na­­ti­o­nally, and the gramophone and radio made all the difference; innumerable orchestras, violinists and conductors have dipped into the score in the course of time. And now the turn has come to one of the world’s absolutely leading orchestras, the tradition-conscious Vienna Philharmonic. And who better to play Gade’s quite special popular music with deep classical roots than the very orchestra which every New Year proves that it ­masters the popular tradition of the Strauss family and their contemporaries – including the Dane H.C. ­Lumbye – in the same quite natural way as when it comes to music by Brahms, Mahler and Richard Strauss. The conductor Sakari Oramo draws on his past as first violinist of the Finnish Radio Symphony Orchestra, and leads the Vienna Philharmonic in the Stehgeiger or “standing violinist” tradition with his violin under his chin – with an orchestra that is used to playing chamber ­music on the grand scale. And although that is not really the kind of thing the title refers to, there is in fact a lot to be jealous of for the rest of the world’s violinists and symphony orchestras; listen for yourself when Sakari Oramo strikes up the band and plunges into the great solo cadenza at the beginning of Denmark’s absolutely most famous tango.